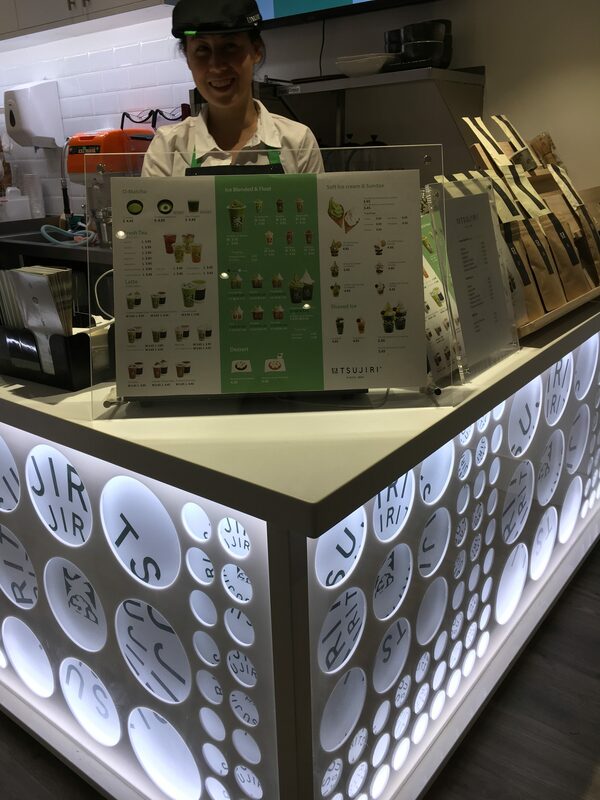 My love for Matcha will never grow old and London has finally got a place dedicated to all things Matcha. 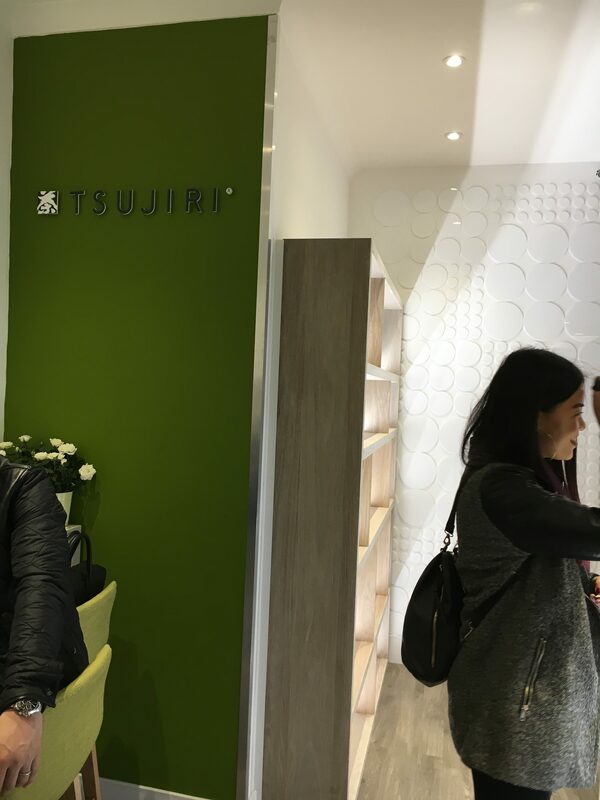 Tsujiri the 155 year old premium tea brand hailed from Japan has opened its only European branch in the heart of Soho. What’s taken over from the former Kirazu restaurant at 47 Rupert Street. I happened to walk pass Rupert Street the day before Tsujiri officially opened and got over excited when I saw all the food menu posters of the stuff. The next day I happened to be out in the Chinatown/Soho area with my niece and we wanted some desserts. 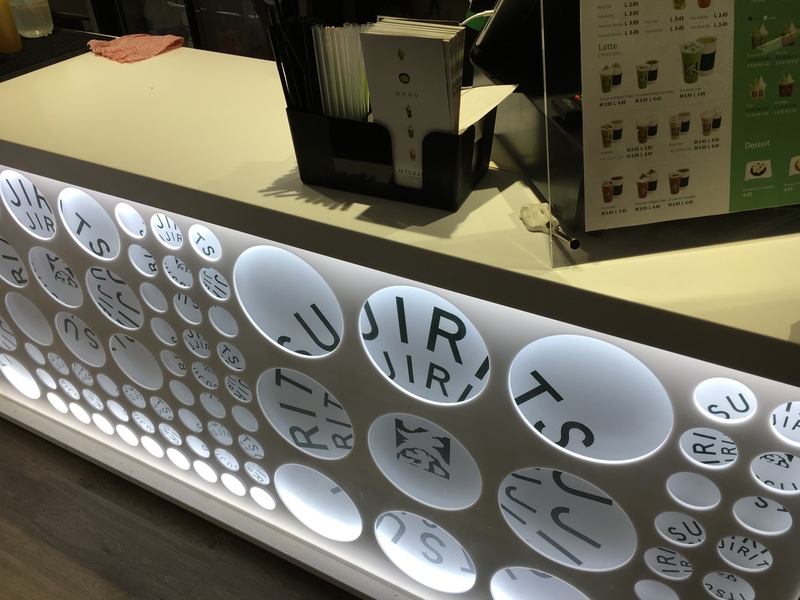 Tsujiri came to my mind and we headed to the dessert shop, luckily it wasn’t that busy and we had the time to browse the menu. There’s quite a good selection on the menu, hot and cold beverages, sundaes, cakes, floats, shaved ice and many more. The interior and lighting of the shop is designed by Shozo Toyohis, in such a small space it is beautifully designed with its simplicity. Matcha is such a versatile ingredient that can be used in almost anything. Flavoured ice cream, cakes, tea combinations, the list goes on. We both opted for the sundaes Tsujiri sundae and Chiffion cake sundae. The culinary masterpiece makes it instagram worthy. 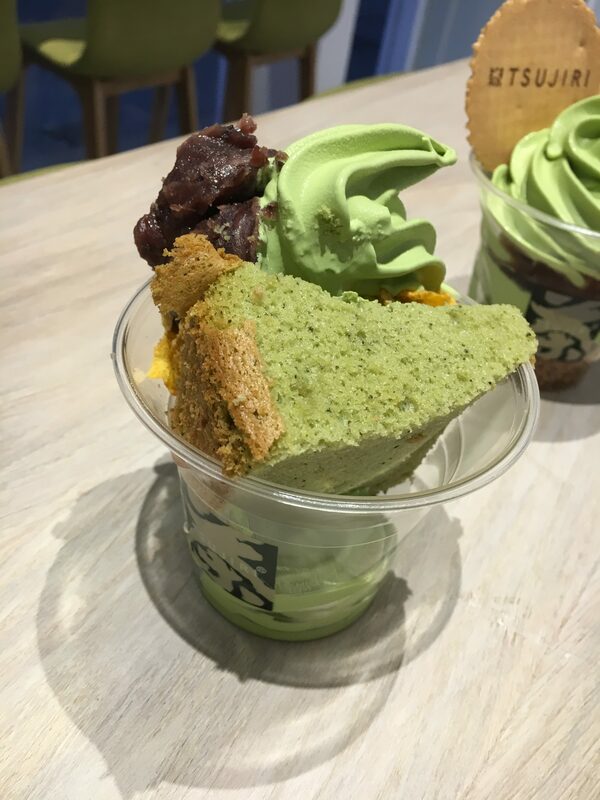 Chiffon cake sundae シフォンパフェ(お抹茶) £4.95 comes layered with a soft serve whippy matcha ice cream, a piece of matcha cake, cornflakes and a dollop of a mushy red bean. 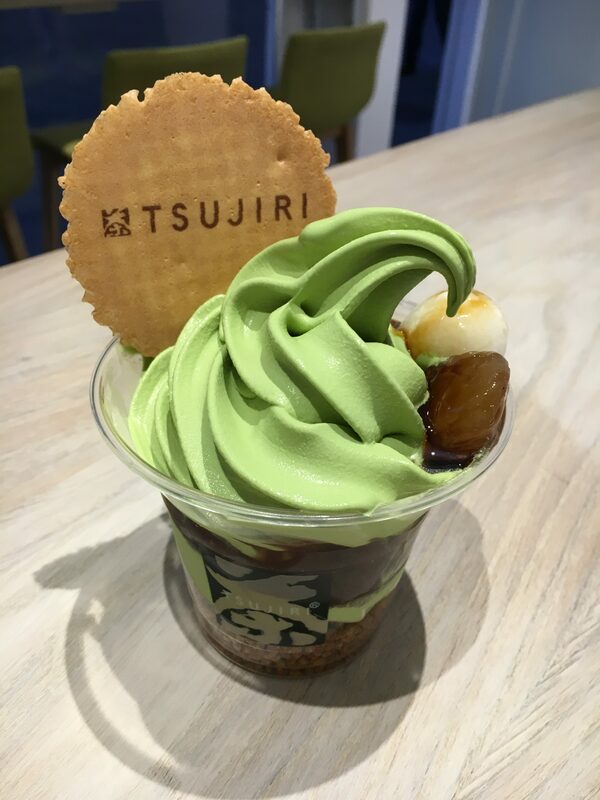 Tsujiri sundae つじりパフェ(お抹茶) £5.45 comes with matcha soft serve, a layer of conflakes, dumplings drizzled in a special sauce. Both sundaes were almost too beautiful to eat but we had to do it. 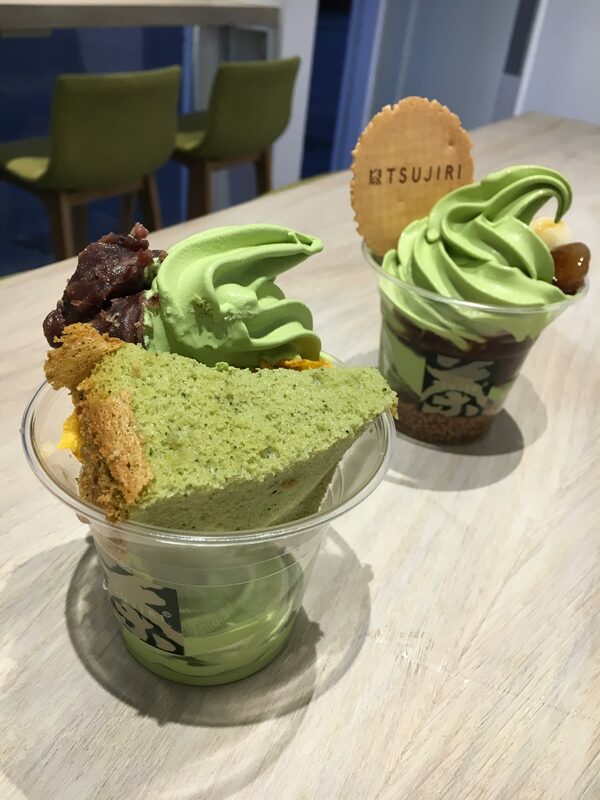 Matcha flavour is prominent and the layers of texture and ingredients infuse the matcha ice cream with intense flavour. You go die and go to heaven with each bite.